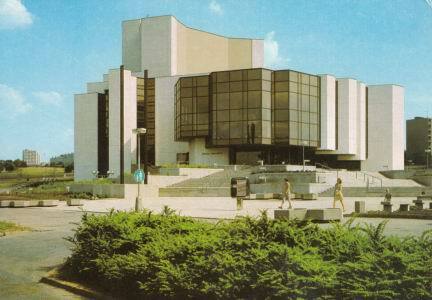 Municipal theatre, built as "Divadlo pracujících" (Worker's Theatre) to replace the old theatre demolished along with the complete old town of Most in favour of lignite mining. Opened 8 November 1985. Reverse Text: "Most - Divadlo pracujicich"